Forget the "Rescan" button of NativeDoc 2, NativeDoc 3 automatically detects changes in your scripts and the navigator is refreshed automatically. Parsing errors are now directly displayed inside the Navigator. Detect quickly documentation errors and fix them instantly! Search anything from the Navigator, NativeDoc indexes automatically the documentation and shows you instantly what you are looking for. 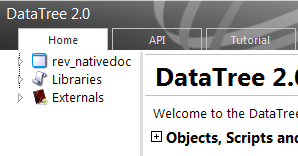 NativeDoc 3.0 dropped the old documentation generator. Now it is fuelled by a fresh new window that is straightforward and professional. Jump between multiple settings set, select objects for your documentation project, handle template was never so easy! You can now define custom properties in documentation generator. 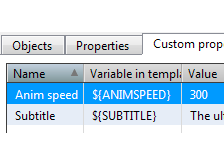 The generation process will replace the custom property variable with its value inside the documentation template. 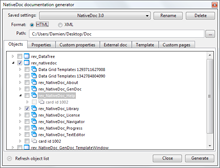 NativeDoc 3.0 allows you to add as many custom pages as you want. Now you can create a complete user manual with NativeDoc. For example you can add a tutorial on how to use your API! 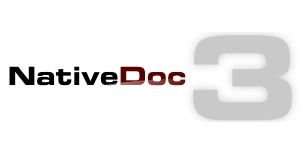 NativeDoc has been improved in several areas, it is faster; the parser has been improved and has new features too (new “\private” tag). 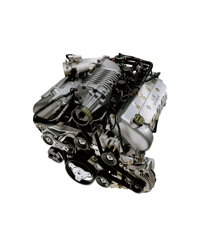 The documentation has been rewritten in order to show you how to use the new documentation generator and the new features of the Navigator. The templates were improved too, and the HTML exportation produces a better documentation. NativeDoc 3.0 has also a new trial limitation, it will show 8 handlers per objects! If you are a hobbyist/student, don’t hesitate to give a try to NativeDoc and start coding like professional developer.